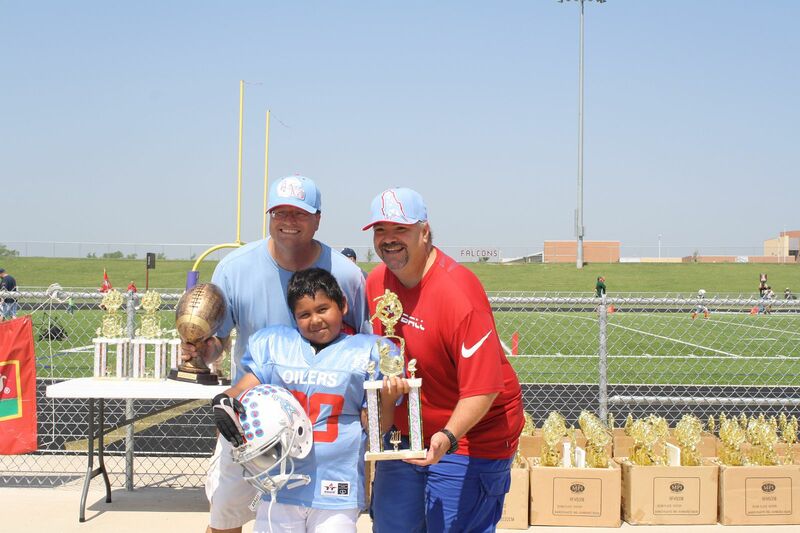 Wow, what a Super Bowl in Keller Texas this past Saturday. We took a 5-3 team to the Super Bowl beating the two top teams in the KYA Bantam Tackle Football Spring 2011 season. We won 25-19 in a shoot out against a very well coached and talented Trojans youth football team. Coach Whit Green, myself and one of our lineman right after the game. Do we look happy? Great Trophies too! Awesome job coach, couldn’t have happened to two better coaches!